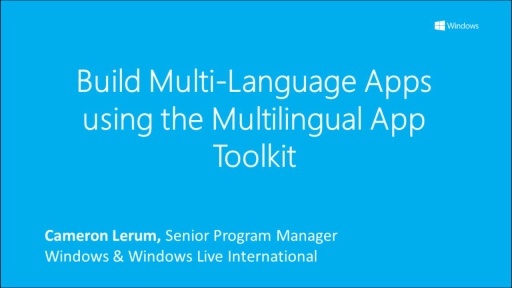 The Multilingual App Toolkit will help you to create your apps in multiple languages to reach more markets. Can this solution create translation on the fly in the app from news feeds? I wish it could work with ASP.NET MVC applications out of the box. 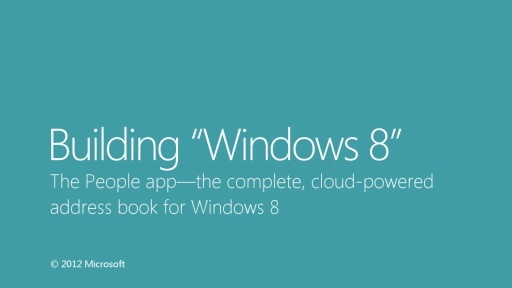 I see it is for Win8 apps. But does it work for other stuff, like Silverlight 5 apps as well? Does this only work with the Express versions of VS2012? I installed it but it didn't add the "Enable Multilingual App Toolkit" option to my Tools menu (sorry, TOOLS). 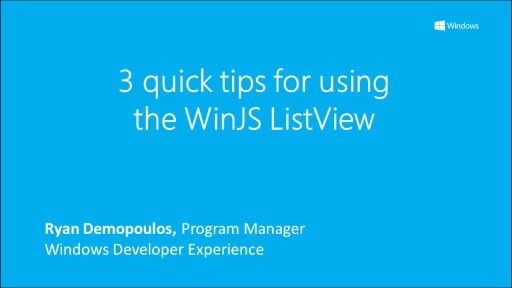 I'm building a Win8 app right now that should support many languages and i was wondering why there isn't such an easy way to do it! So this is cool!!! thanks! ...Though i haven't installed this toolkit yet because i have a question. I understand that this will translate the app according to the language settings of the computer its running on. But say i want to provide and option in the settings of my app that will allow the users to translate to the language of their choice (allow the user to select a language from a list of languages in the settings), can this toolkit translate the whole app too? In other words, does the system have to have the language installed (and/or chosen) in order to run the app in that specific language? Or can i call some function that will choose the language for my app only and not the system. @SomeRandomDude: Normally you can just set CurrentCulture. 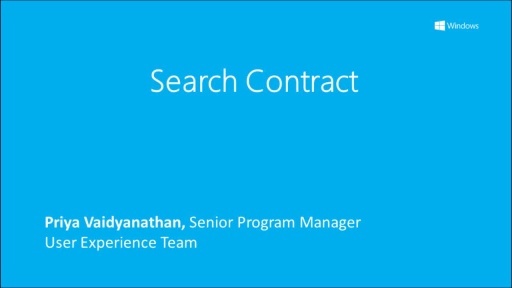 @micdousmi:No, this is not an on-the-fly translation service, its purpose is to provide for multilingual project management in the VS IDE for Windows 8 apps. 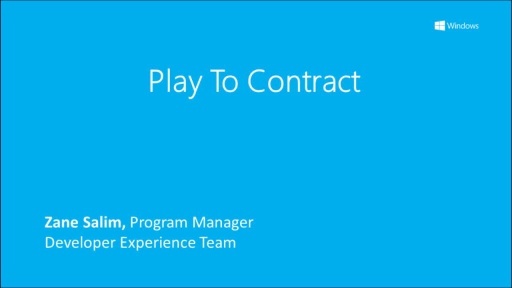 @craigsn: HI Craig, this release focuses on Windows 8 apps only. @Kevin Daly: Hi Kevin, the Multilingual App Toolkit will work with any version of Visual Studio 2012. Can you tell me a bit more about your environment? Installed it twice. 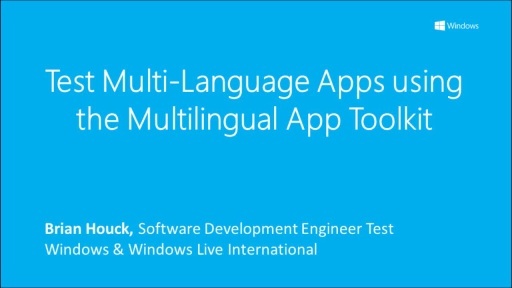 sill no "Enable Multilanguage Toolkit". Maybee the target audience is dogs. Woff Woff! 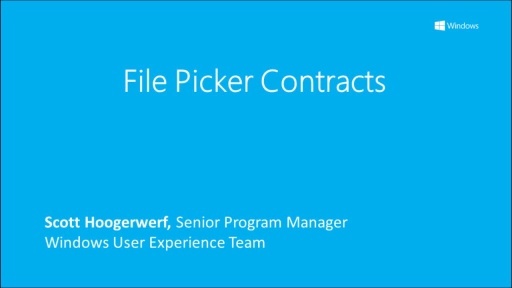 I'm a Wpf developer, not a dog, so I guess I will have to do with res files. Scheisse, I really wanted to do that woff-woff-Wpf Windoze pre 8 german non-Metro(c) translation similar to das video. MS, who is barking up the wrong tree now! Please download it and you should this issue resolved. 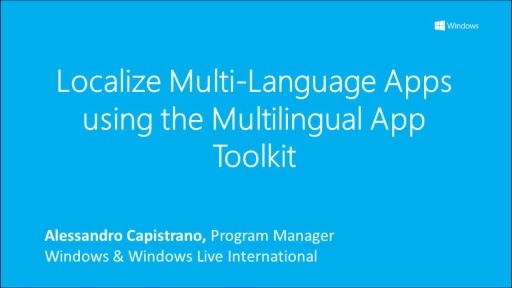 does windows store support multilingual app toolkit? 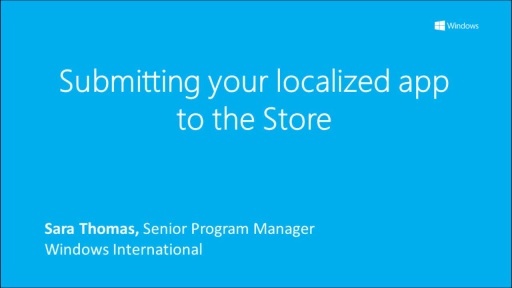 @Lina Manjarres: The Toolkit's addition of languages conforms to the Windows Store requirements. Please refer to the Store's validation requirements for additional information on submitting apps. @Hansjoerg:Please check to see if the Multilingual App Toolkit is listed in the TOOLS->Extensions and Updates list. The RTW version is 1.0.1114.0. Please note that the project, not the solution needs to be selected before the TOOLS menu will display the "Enable Multilingual App Toolkit" option. If you continue to experience an issue enabling your Windows Store project, please post in the MSDN's "Tools for Windows Store" forum (https://social.msdn.microsoft.com/Forums/en-US/toolsforwinapps/threads). This forum provides better threading as we work on resolving the issue. After a little testing, I found this was because my Project was named "First App", when renamed to "FirstApp" it works fine. Might want to address that little bug. @Andrew Taylor: Thank you for letting us know about this issue. A workaround is to open the project file and place quotes around the $(MakePriLog) parameter on the <AppxGenerateProjectPriFileAdditionalMakepriExeParameters> Line. @Marco: This warning can be ignored. It is displayed as a warning only in the Error List panel if a XLF file is open in the VS IDE XML editor during a build. If you close the XLF file before building, you should not see this warning in the future. It's in BETA stage now but it's free. Supports all kind of projects (WinForms, WebForms, WPF, Silverlight, Windows Phone and Win RT). 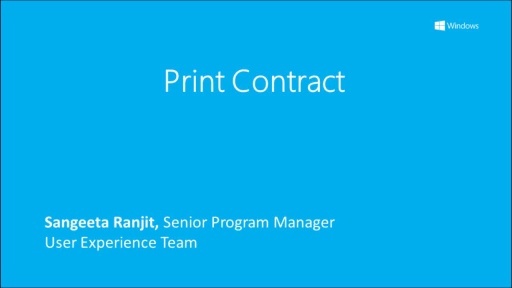 The latest update allows to auto-generate x:Uid attributes in XAML files for Windows 8 projects. "_string1.source" : "Hello World",       // optional?